Game Gear version in 1993. Developed by Imagineering Inc.
craptacular drawing is fine art. 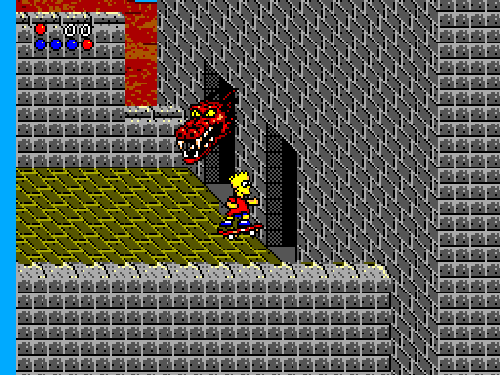 Select Start to begin the game. Here you can practice the five mini games that are in each level. It's a good idea really, and kinda fun. Those blue circles in the upper left corner represent your health. the game and end up with an unsatisfying finish. to the MAP exit in the upper-left of the second mast. to the fourth tower take the lower door to exit. 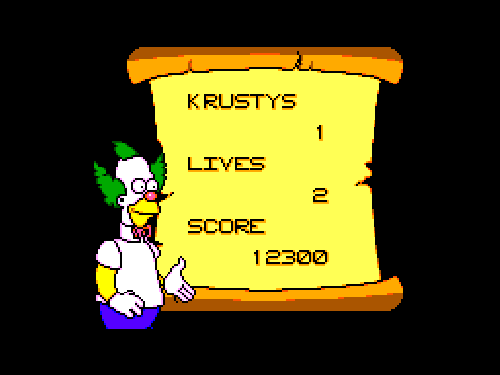 Krusty collectibles for beating this one. get three Krusty collectibles as a reward. get another four Krusty collectibles. Stay as far away as possible and avoid the fire crackers he throws. and points you may need. see an infinite bag of cherry bombs and some infinite Bartman icons. because if you're hit while you're flying you will fall back down. there take the right tunnel and reach the second set of platforms. good speed to stay ahead of the fish. pool and you'll see the MAP sign on the far right. point it out. The Krusty collectible is your reward. crappy ol' Sideshow Bob will only give you one. Same as the sliding puzzle from the previous level. in the road. Shoot any bats that get in your way. platforms just carefully jump across to get out of here. the left side, and you can only get it after you fall the first time. you're in the air because one hit and you fall. Same as the last two. send this guy to the afterlife. rigging or you'll fall back down. the right until you see the MAP sign. the ship if you want more points and lives. on the designs on the gate. the shortest and safest path, but feel free to explore. way. After a whole lot of jumping you'll hopefully reach the MAP sign. eraser and on to the other side. reel scrolling up, just walk up to it and enter an animation cel. boxes, and the last one has some films and then a director's chair. case. Finish up in here and all you have left is Von Burns. rounds it's on to the next stage. section below to find out how to get the much better special ending. 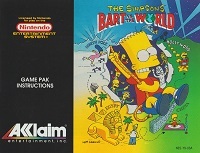 of all the old Simpsons' games. Enjoy! and hop directly below to find Maggie and get the Krusty Toy Junk. is grab it and it's yours. the entrance. Go down and pick it up. After passing two of the pools, Lisa will give you some cherry bombs. until you reach the top, then jump back down into that halfway gap. bat will die. Afterwards head to the left to get the Krusty Mummy. jump in make sure you land in the very first tunnel on the right. jump at her and you'll get the Krusty Sand Sculpture. before going for it, because you really need to prepare. the left. Hold A to go up a bit at a time, always holding B.
make your way to the right-top of the head, as quickly as possible. left so you'll land on another mast. Go right and you'll see a hole. 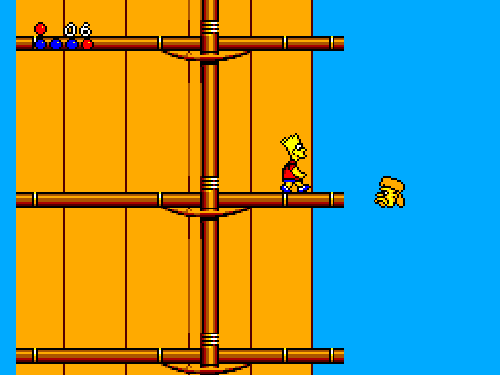 Fall in straight down and eventually you'll get a Bartman icon. back out with the Krustystein Monster. Here you'll find the questions and answers for the Trivia mini game. 1) What did Homer do to become the hero of Springfield? B)Campaigned for a speed bump. 2) What is the name of the Simpsons pooch? 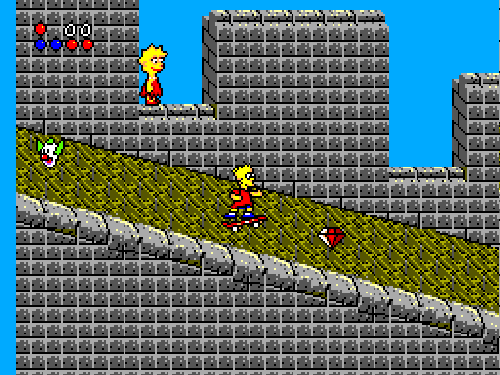 3) Where did Bart set off a cherry bomb? A)A toilet in the boys room. 4) Why did Homer decide to go on a diet? C)He got stuck in an amusement park ride. 5) What is the motto of the Springfield nuclear power plant? C)We're safer than you think. 6) Why did Homer get a big promotion in the power plant? A)He grew a new head of hair. 7) What is Grandpa Simpson's first name? 8) How did Jebediah Springfield found the town named after him? 9) Who's portrait was Marge hired to draw? 10) Who is Mr. Burns loyal right-hand man? 11) Where in High School did Homer meet Marge? 12) What is the name of the giant catfish Homer caught? 13) Lisa's first crush was on Mr. Bergstrom, her substitute teacher. How did he enter her life? 14) Grandpa Simpson lives where? B)At the Springfield Retirement Castle. 16) Who is the Simpsons family doctor? 17) What did Homer eat that made him think he was poisoned? 18) Who is the clergyman at the Simpsons church? 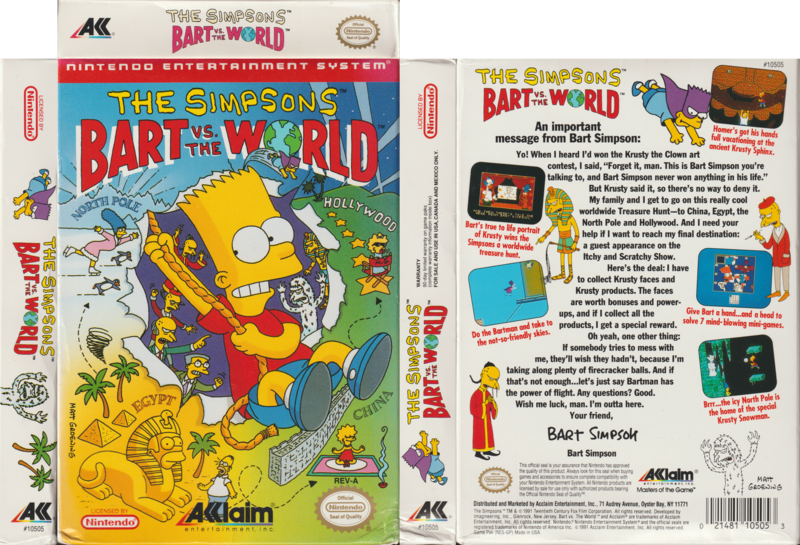 17) How did Bart lose the class election to Martin? C)None of his supporters voted. 18) What is Homer's favorite thing for dinner? 19) What is the name of Springfield's bowling alley? 20) Which answer is not true about Sideshow Bob? B)He's married to Krusty's sister. 21) What political office did Mr. Burns run for? 23) Kent brockman is the host of what late night news show? 24) What is the name of the three eyed fish Bart caught? 25) What is the tone addling ball of Homer's dreams? 26) What is the name of the jazz club where Lisa played her sax? 27) What did Marge spend all of the Simpsons Christmas money on? B)Spitting out a piece of fish. 29) Where did the Simpsons get their dog? B)Raiders of the Lost Quarters. 32) What is the special ingredient in Marge's pork chops? 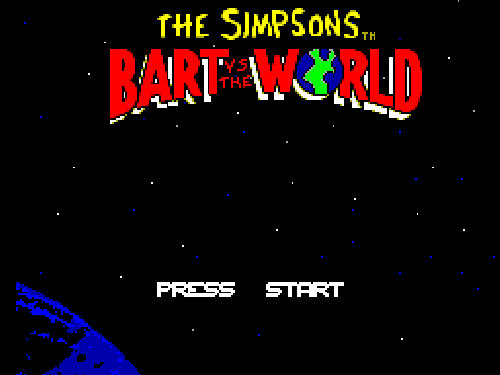 34) What is Bart's blood type? 36) What is Homer's favorite snack food? 37) Where did the Simpsons take Grandpa Simpson on a family outing? 38) What is Springfield's miniature golf course? B)Spruced up the old folks home. 41) Who works at the Kwik-E-Mart? 42) What did the Simpson's dog do to get sent to obedience school? C)Chewed up Homer's new sneakers. reduce the accident rate at the power plant? B)He gave more tartar sauce with the fish sticks. 44) What major league baseball team did Homer become the mascot of? 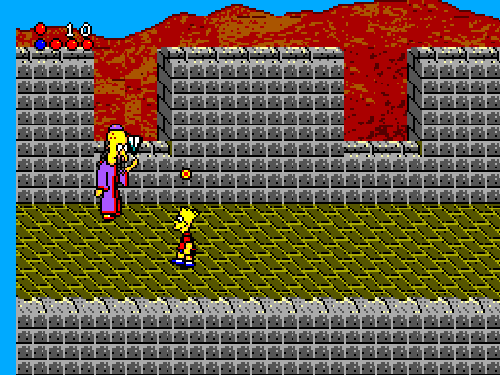 46) What is the name of Bart's teacher? 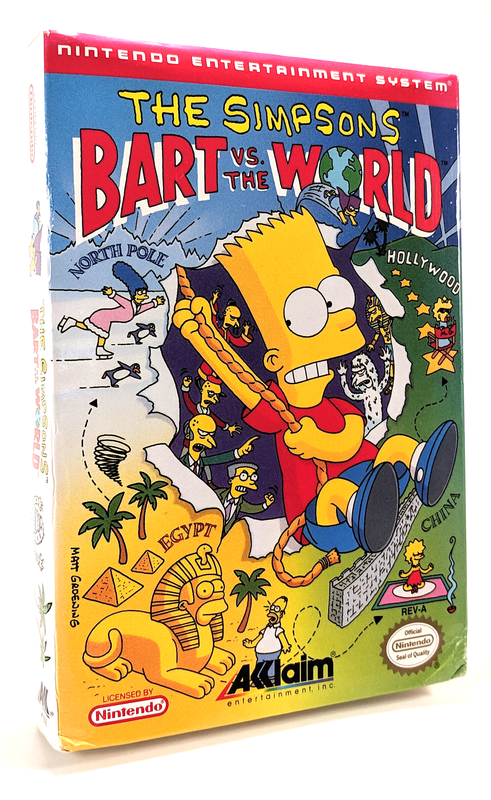 47) What are the title characters in Bart's favorite Sci-Fi movie series? 48) How did Bart get sent to a school for geniuses? B)He signed his name to Martin's test. why did he get kicked out of heaven? A)He spat over the side. C)Mow the lawn in Marge's Sunday dress. 51) Bart's bus-driving pal, Otto, is always wearing what? 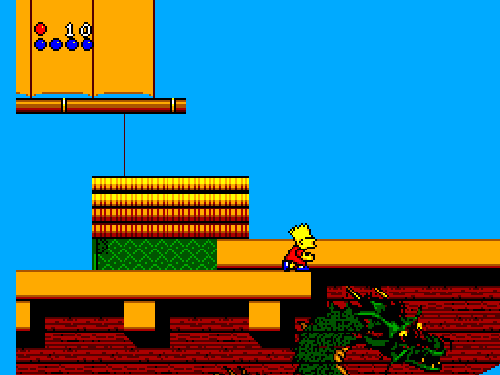 52) Which is the worst kid in Bart's school? A)Give them a life of total happiness. 54) What did Bart do to cheer up Lisa when she was depressed? 55) What gift did Homer surprise Marge with for her birthday? I updated the guide format. 4. Nintendo and Imagineering for making the game.